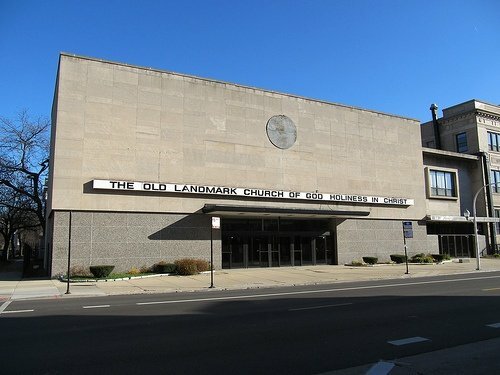 OLD LANDMARK CHURCH OF GOD HOLINESS IN CHRIST in Chicago, IL is dedicated to helping you grow strong in your faith. We are eager to help you fulfill your God-given purpose and find eternal salvation by way of our Lord. Read the following church news updates about our church events and let your life be filled with Christ’s wisdom. We are currently compiling information about our latest church news. Kindly check back this page again soon. In the meantime, you may browse the other pages on this website to learn more about our church. Everyone is welcome to the new library dedicated to the legacy of our late founder Apostle Robert Lee Mitchell. This historical section of our church brings everyone to a deeper understanding of the principles which the church was founded on. The Apostle Robert Lee Mitchell library is open everyday from 10:00 AM to 2:00 PM. All is welcome.